The Current State of US Government Surveillance Can't be Explained in a Quick Sound Bite. This is a complex issue, with many hard questions and no straightforward answers: How do we protect both privacy and national security? How do we enable law enforcement agencies to do their jobs while holding them accountable to citizens? As we approach the June 1 expiration of Section 215 of the USA PATRIOT Act, Congress will grapple with these questions and many more. The Electronic Frontier Foundation (EFF) — an advocacy organization that has worked on these issues for a long time — has put together a video that explains the issue and what's at stake. Watch the Video and Share it With Your Friends. letter to Congress that underscores the essential elements of any surveillance reform legislation. This is a crucial opportunity to end mass, indiscriminate data collection practices under the USA PATRIOT Act, and improve transparency and accountability of government surveillance. 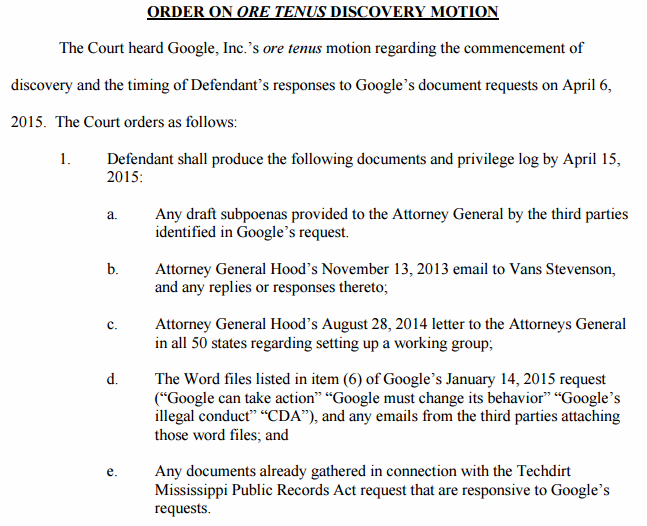 This resulted in a victory for Google with District Court Judge Henry Wingate putting the subpoena on hold. At the same time Google requested additional details from the Attorney General on his discussions with Hollywood. 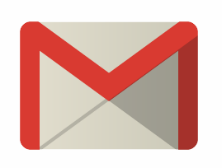 During an oral hearing earlier this month Google requested various documents including an email conversation between MPAA’s Senior Vice President State Legislative Affairs Vans Stevenson and the Attorney General. In addition, Google asked for copies of Word files titled Google can take action, Google must change its behavior, Google’s illegal conduct, CDA, and any documents gathered in response to a request previously submitted by Techdirt’s Mike Masnick . After a careful review District Court Judge Henry Wingate sided with Google, ordering Attorney General Hood to hand over the requested information before the end of the month. The documents will help Google to get to the bottom of the censorship efforts and to determine what role the MPAA played and what its contributions were. Various emails that leaked after the Sony hack already revealed that the MPAA’s long-standing law firm Jenner & Block had drafted a subpoena and other communication the Attorney General could use against Google. Many of the “Project Goliath” emails and documents are readily available after Wikileaks released them late last week, but nearly all details had already been made public after the leaks first surfaced. Interestingly, in one email the MPAA’s Vans Stevenson linked to a New York Times piece on how lobbyists court State Attorneys to advance their political agendas.